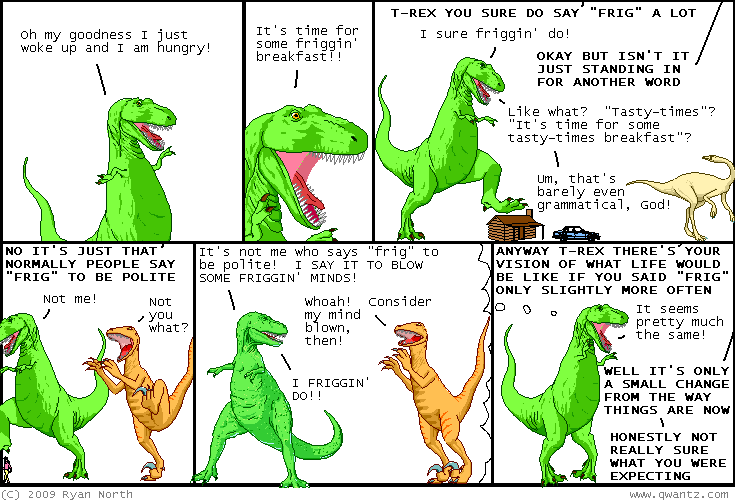 Dinosaur Comics - June 26th, 2009 - awesome fun times! One year ago today: the best french word EVER is the word for werewolf: "loup garou". if you know only this one word, you can make your way in modern-day France.